"Love this tote!! Great for presentation and travel! Perfect size! Exactly what I needed for my business and great quality!" 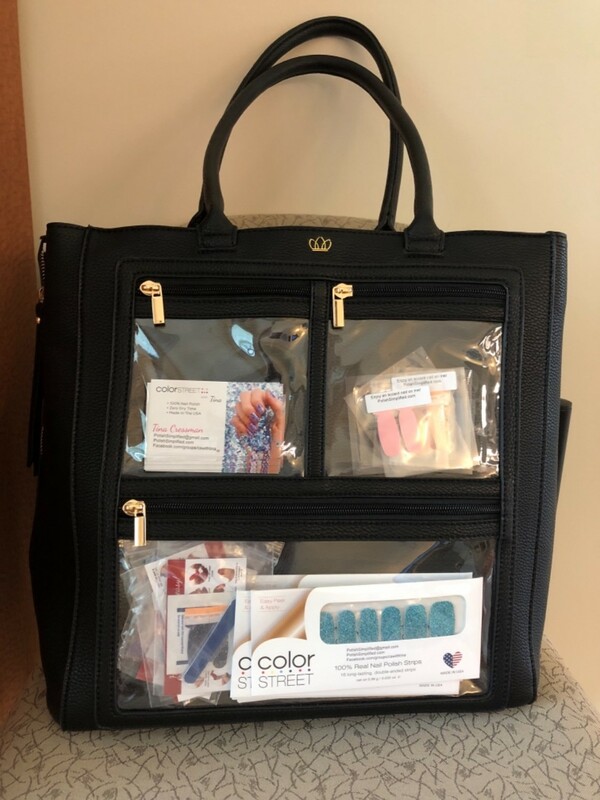 "I absolutely love this presentation tote. It’s exactly what I was looking for. The quality makes me believe it'll last me for quite some time. I love the amount of space this bag has. I can store work materials and personal items, as well. If I had to make a change it would be to just add feet to the bottom. It’s such a nice tote that I don’t want it directly touching the floor! Customer service was excellent right from the the start. My military address was unable to be verified in their system so I received immediate email contact to verify my address to ensure I would actually receive my order. I’m very pleased and will definitely recommend this to others!" 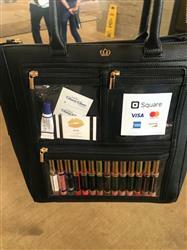 "Love the piper noble presentation tote. Love the clear pockets to display my nail Polish Strips and have people coming up to me asking about the product instead of me approaching them. Also received tote fast!! Great product!!" "The bag is a very nice quality, and I love how it holds all my books for school too!" "I ❤️ This bag! It is perfect for WOWING future customers and showcasing my products! Plus all my personal belongings fit too so I never have to carry around more bags/purse! It’s everything I imagined it would be. I feel more professional now that I have it. Definitely a confidence boost! " "Love it, truly brilliant marketing! Woman can’t help but notice and ask! 💗"
"It is so nice to be able to display my product in a cute and stylish bag!!! It has tons of room for everything!! Love it!!!" "I love love love this bag! " "I am in love with my bag. It’s he perfect size and it is versatile. Good investment. " "This bag is absolutely perfect! 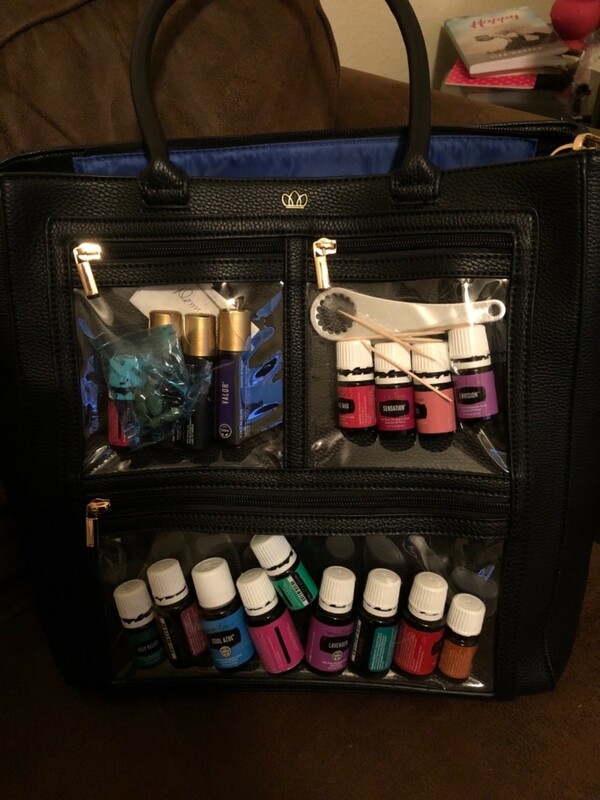 It is big enough to fit my oils along with my other things I need and my toddlers necessities. I definitely recommend these bags if your an entrepreneur and also a mother." "Love it! It holds my 2017 13” MacBook Pro aaaaand my huge HydroFlask. Perfect!" 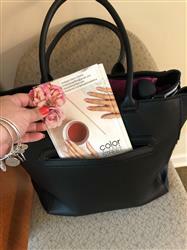 "I love everything about my PN bag! It is well made and looks great! I used it yesterday for the first time and couldn't be happier. Shipping was fast and easy! " "Has plenty of room for all my “stuff”! " "I can’t say enough about how great this tote is. Not only is is well made but it does exactly what I’d hoped it would do- and that is to start conversation with people about my business. If I’m not wanting conversation every day I better NOT carry my bag!! I’ve gained new customers just by going about my day. I highly recommend the Pippa Tote!!!!" "I really love 💕 my new bag. It is great quality and worth the price." "I love this bag!! The quality is amazing and no doubt, Color Street products look great in it. I love that it can carry so much if needed! Thank you for making such an awesome bag!" "The quality is awesome! Very roomy and sturdy. It’s a very professional bag." "This bag was everything I hoped it would be! It has paid for itself already and I can’t seem to bout it down. " "I love it and two of my LipSense friends are saving money to order one too now need one for the Iredell County Health Department Marketing Director to carry her items when she goes and visits partners to promote our services. Any way we can get a donation if I send you a formal donation request form the company? This would be a tax deduction for your company. Thoughts? I am sure other marketing directors she will be talking to at hospitals and healthcare systems will want one too - but they can buy theirs. Thoughts? " "Great quality, I love all the pockets, straps are super comfy too! " "❤️❤️❤️❤️❤️ It’s Huge inside too!! Top quality! " "I just received it but I really like it. It has plenty of room with different pockets to help me stay organized. " 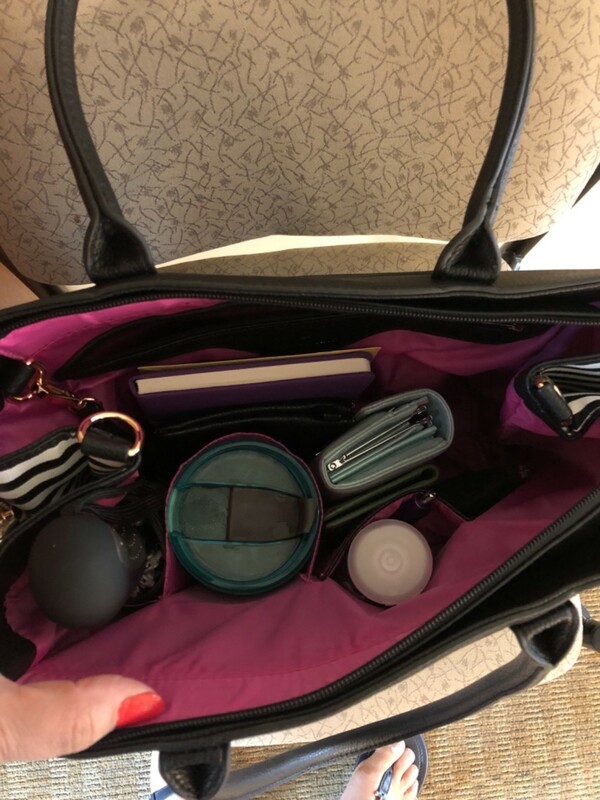 "I absolutely love my Piper Noble bag.i hope they soon start coming out with other products, like a purses, wallets and such. " "I love my new Kate presentation tote! It holds all of my marketing material along with my product samples! It doubles as my purse! I love that i can get all of my branded swag in this one tote! It even holds my gigantic water thermos, gotta stay hydrated!" "I love this bag! Plenty of room and I love that I can show off my product!!!! Thank you 😊 "
"I Was hoping the large window would be big enough to fit my SeneGence Beauty Book amd to be able to put a few books in three but it’s a little too snug. Other than that it’s a great buy. Good deep pockets. I’ve had lots of other moms ask me where I got it because they like how stylish and big it is. " "I love the compliments I get on my bag, it's a great conversation starter and even women not in sales want one!! It definitely breaks the ice as many women have approached me asking what my products are all about! " "I am extremely pleased with my Presention Bag. My bag creates curiosity and opens the door for me to be able to talk about my product and business!! " 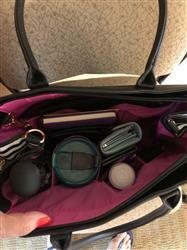 "I have already gotten so much use out of my bag. It’s a wonderful conversation starter and holds everything I need+!! I love the feel, the crossbody strap, and the pockets. It’s perfect. " "Just unpacked my bag and filled it with my LipSense product and testers! The bag is beautiful! Lots of room to carry your business around! Love it! Thank you💋"